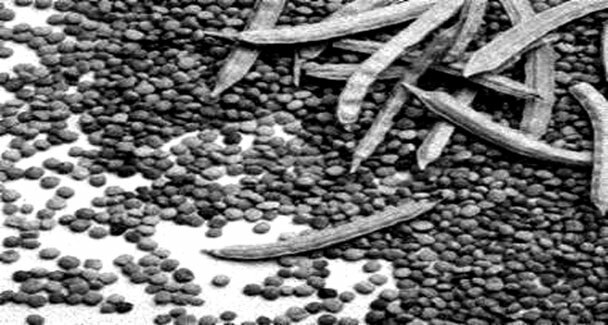 Guar bean is so hard it can crack human teeth--a quality that makes it ideal for fracturing shale rock to extract oil and gas. Guar was eaten by the poorest of the poor or fed to animals in India and Pakistan before the shale oil and gas boom in North America dramatically increased its demand and pushed its price higher. It's also used to produce guar gum which is an ingredient of various sauces and ice cream as a thickening agent. India's National Commodity and Derivatives Exchange (NCDEX) banned trading of guar futures in March this year after prices rallied nine-fold to a record US$1,680 per 100 kilograms, according to Bloomberg data. Over 95% of the world's supply of drought-resistant guar comes from the desert regions of South Asia. India produces a million tons a year making up 80% and Pakistan 15% of the world's supply. The rest comes from Sudan and the United States. Higher prices are inducing farmers in India and Pakistan to plant more guar. 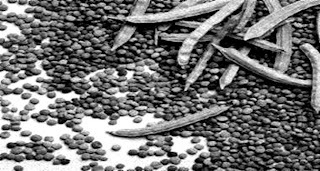 Despite the expanding supply, however, many analysts believe that guar prices will remain high for the foreseeable future. Neil Beveridge, an oil analyst at Sanford C. Bernstein & Company, told New York Times that demand for fracking services should continue to grow rapidly as the industry expanded outside North America. Both India and Pakistan are planning to develop their substantial reserves of shale oil and gas. 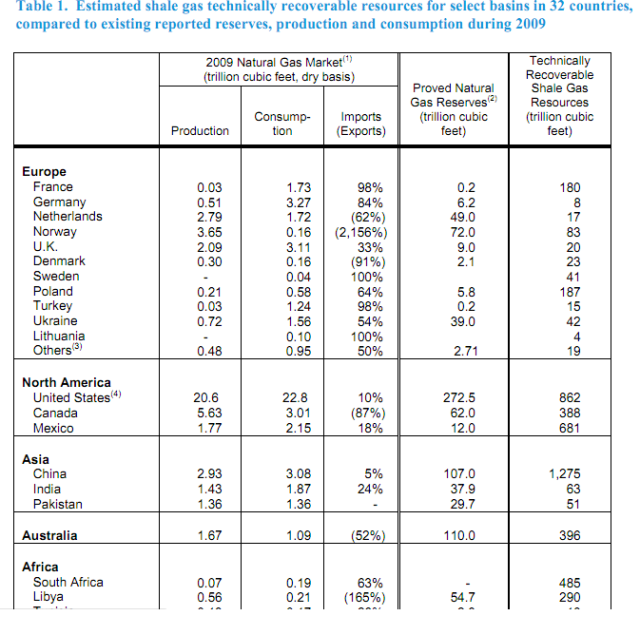 India has 63 trillion cubic feet of shale gas and Pakistan has 51 trillion cubic feet, according to US Energy Information Administration (EIA). Trican Wells Services of Calgary told Edmonton Journal that its bottomline would be directly hit by the elusive and expensive bean. “Average guar costs increased sequentially in the second quarter and we were largely unable to pass these costs on to our customers due to the competitive pricing environment,” the company said, explaining its larger-than-expected estimated loss of $24-million to $34-million. The shale revolution now sweeping North America is helping change the fortunes of many poor farmers in South Asia. Bringing about the shale energy boom in India and Pakistan can overcome energy shortages and help millions more improve their lives. Indian and Pakistani farmers growing a lesser-known crop called guar or cluster bean made a lot of money in 2012. A surge in global demand on the back of guar’s use in shale fracking pushed up the price manifold. Farmers were netting more profit than they would by planting paddy or even cotton. In India, which meets 85% to 90% of global guar demand, it was given the status of a cash crop as more and more area came under plantation. But while business magazines and newspapers were sharing stories about the crop changing lives of poor farmers in Indian Rajasthan, little was said about Pakistan, which meets 10% to 15% of world’s supply. His company United Guar, which was set up in 2012 in Islamabad, is already exporting guar gum, which is basically seed in powder form. Besides being backed by investors like Tim Draper, one of the leading venture capitalists in Silicon Valley, United Guar has now successfully raised capital from China’s leading private equity firm, IDG Capital and Baron Lorne Thyssen, a prominent European industrialist. United Guar runs a state-of-the-art plant in Faisalabad. And now it has Halliburton’s veteran Dr Lewis Norman on board as VP technology. Pakistani traders complain that they get a low price because of low viscosity in their guar. However, Sarfraz says that’s ‘all nonsense’. “In a test carried out in a leading US oil and gas lab, it was found that samples of Pakistani guar seed can in fact produce a premium grade gum,” he said. Guar gum is made from seeds and it is increasingly being used by oil and gas drilling companies, which need high viscose material like the guar gum to crack open shale formations to allow petroleum to flow. This drought-tolerant crop, grown almost entirely in the subcontinent, has traditionally been used as animal feed and a vegetable. Pakistan expected harvest of over 250,000 tons in 2013, highest in 18 years, after more land came under cultivation following a spectacular rise in price in the last two years, traders say. “The problem is not with our seed. The processing facilities are old here and that is what undermines the quality,” he said. Pakistan has 11 companies making guar split with Pak Gum Industries being the largest producer. Most of the processing facilities are 20 to 30 years old. Already dealing with a network of rice farmers under a contract farming arrangement, Sarfraz says the same approach is being made to cultivate long-term relationship with guar growers. “It is really a poor man’s crop. Some of the big farmers actually rebuked us for even suggesting that they should grow guar,” he said. The company is building a network of growers by paying them on time, eliminating the role of intermediaries, supplying the inputs and compensating for the transportation cost. It is specifically focusing on Thal region. Sarfraz has initially set a target of exporting 30,000 tons of guar gum. Guar and guar products’ export from Pakistan was just $29 million in 2006-07. It shot up to a record high of $152 million in 2011-12 before coming down to $139 million, still more than many other items. It is hard to estimate the exact size of the cultivated area as guar is sown in far-flung arid and semi-arid areas of Punjab, Sindh and Khyber-Pakhtunkhwa. Most of the production comes from Sargodha and Tharparkar. But according to the Pakistan Bureau of Statistics, guar was cultivated over 154,821 hectares in 2008-09.